Recently approved legislation designates a minimum of $25 million annually in funding for SUN Trail through the Florida Department of Transportation. 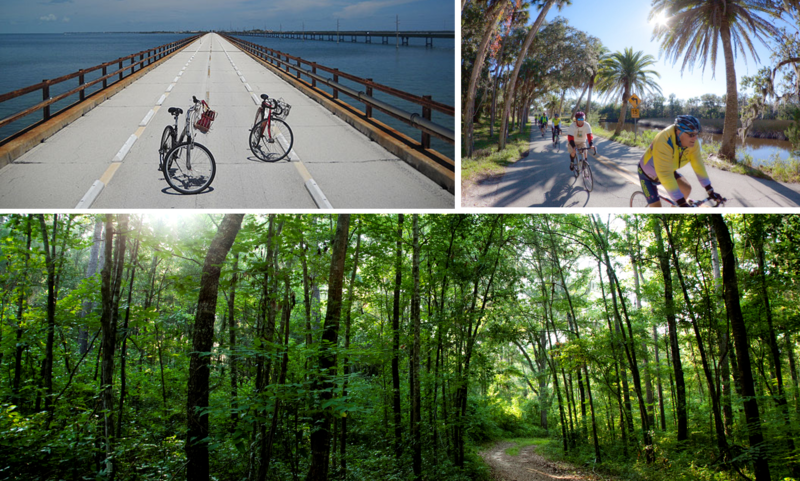 SUN Trail, which stands for “Shared-Used Nonmotorized,” is a statewide network of biking and walking trails, or shared-used paths across Florida (think the Coast to Coast Connector, but from Key West to Pensacola). Imagine riding your bike from Tallahassee to Miami and never seeing a car. A comprehensive paved off-road trail network will go a long way to creating an image of Florida as a bicycle- and pedestrian-friendly destination. Connecting paved trails throughout the state will benefit residents and visitors by providing a way to maintain a healthy and active lifestyle, and will help improve our state’s designation as the most dangerous place for pedestrians in the country. Thank you, Florida legislators, Senate President Andy Gardiner and Gov. Rick Scott, for continuing to make biking and walking trails a legislative priority. For more details about the legislation, the PDF of Senate Bill 2514-A is below. Thanks for getting in touch. I have removed your contact information from the post for your privacy. David from BWCF will be reaching out to you at the email address you provided.